I picked up these watercolor paints the other day at Target. 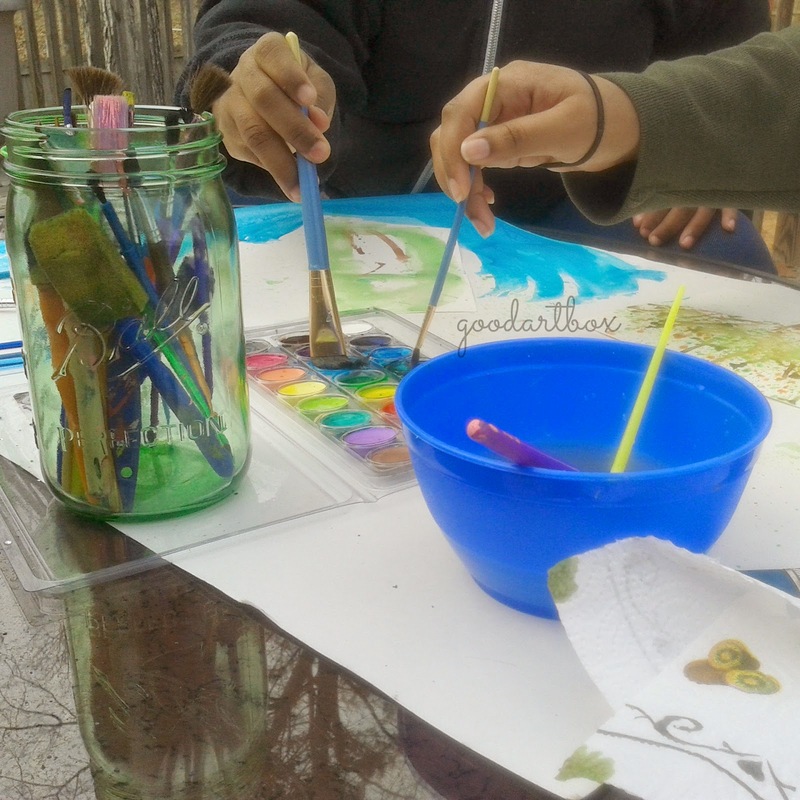 My youngest daughter likes to paint and we have been through our share of these little watercolor paints. 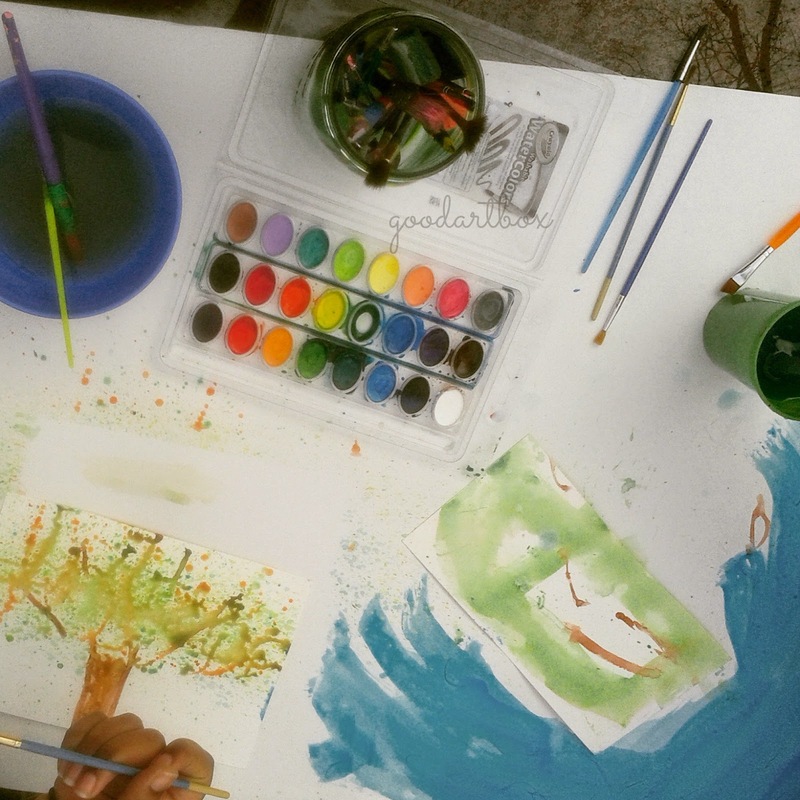 Even though I have been buying these paints for years for my daughter, I never knew they watercolor paints. Duh? I just throw them in the basket and keep shopping. But sometime last year, I discovered a very artful blog and saw how the artist used them and I have been in a deep like for these little colorful ovals since! I decided to try a tutorial listed there so that I could show my girls how to create their own picture. 1. 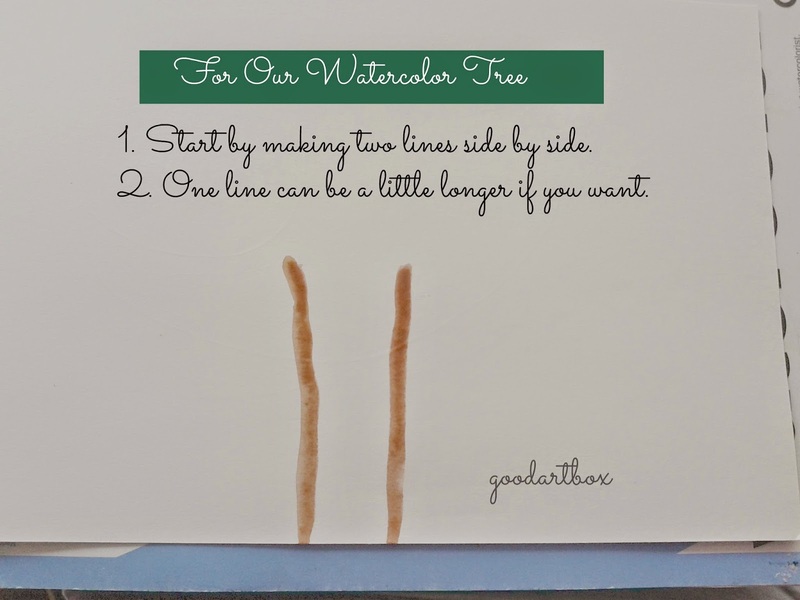 To make the tree start by making two lines parallel to each other. You can make one line longer for effect. You can also add roots at the bottom just don't bring the lines all the way to end of the paper. If you make roots, stop the lines before you get to the end of the paper and bring the lines out to the left and the right. 2. 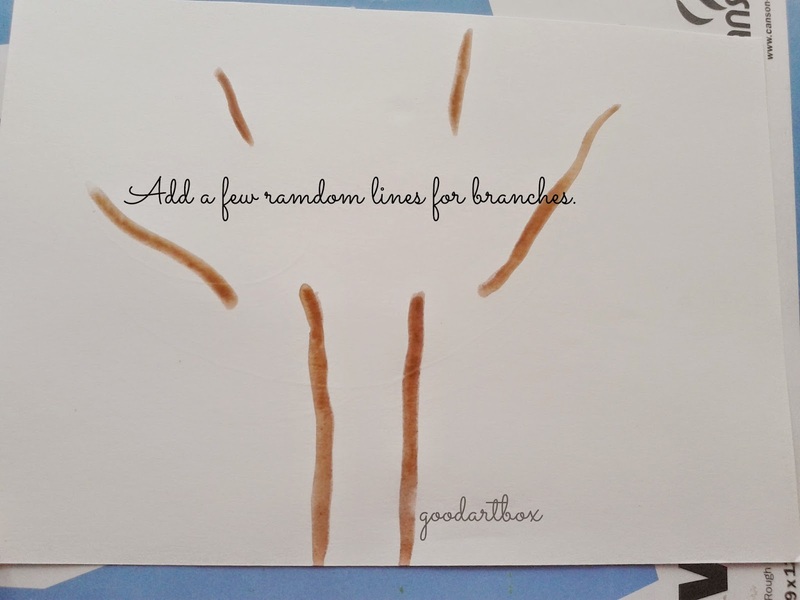 For the branches, just kinda scatter a few lines at the top of the tree. 3. 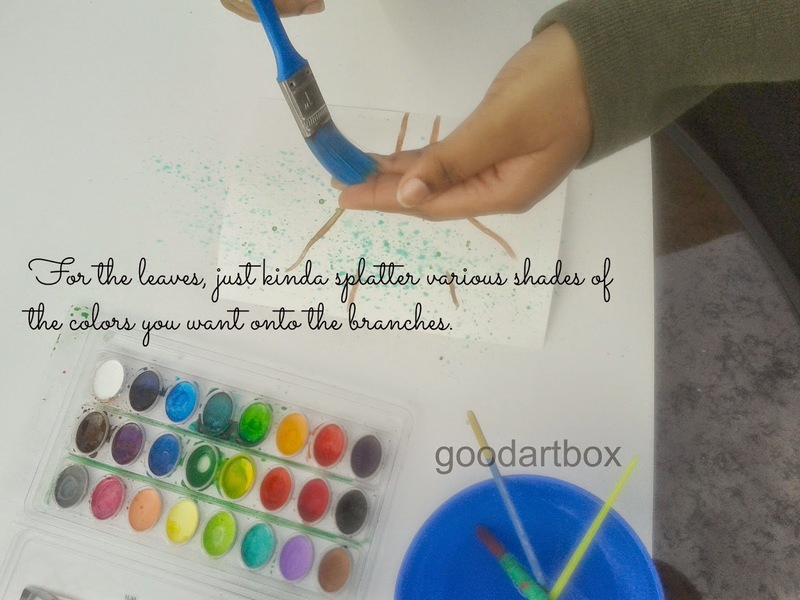 For the leaves, just kinda splatter various colors with your paintbrush! This part was fun! 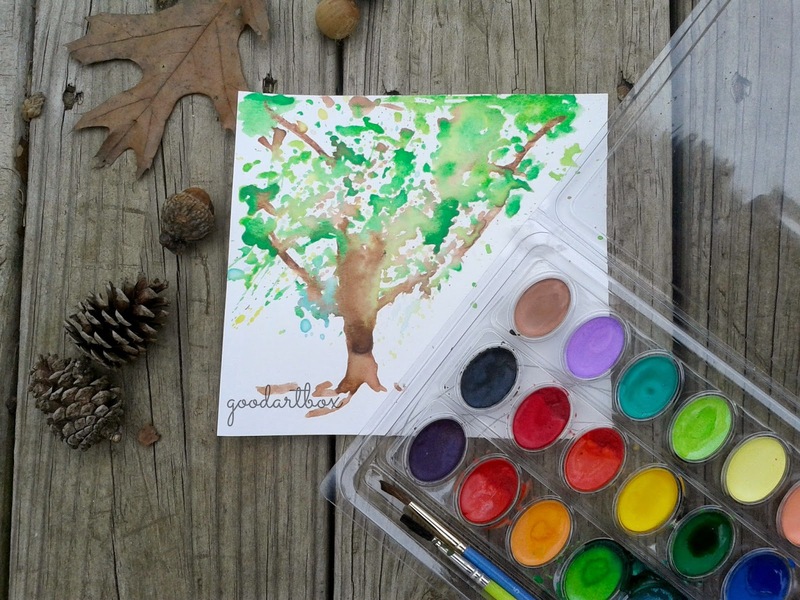 Do you ever buy watercolor paints? What kind of things do you create with them? You can find the tutorial I followed here.